China's new-energy vehicle (NEV) sector will continue to grow rapidly after subsidies are terminated at the end of 2020, Minister of Industry and Information Technology Miao Wei said during a recently held high-level industry forum. "Related departments are currently finalizing government supportive policy for 2019. The overall principle is to prevent big fluctuations after the NEV subsidies are completely cut," said Miao during the China EV100 Forum held in Beijing on January 12. Starting in 2010, the Chinese government offered subsidies to encourage growth in the NEV industry by offering incentives to automakers as well as to consumers, part of country's drive to switch to cleaner energy and fight pollution. These subsidies have been on a stepped decline since 2016. Although the new policy for 2019 has not been announced, speculation has widely circulated online that national subsidies will be reduced by 50 percent based on 2018 levels, and local ones will be canceled entirely. Miao stressed the importance of government subsidy reductions by different phases. "Maintaining sound and sustainable development of the industry is the challenge now and for the future," he noted. Xu Haidong, assistant secretary general of the China Association of Automobile Manufacturers (CAAM), told the Global Times on Wednesday that the predicted subsidy cut will cause volatility in the industry, but it will normalize over time. "Auto firms that cannot absorb the pressure caused by lower subsidies might transfer the cost to consumers," he said. The NEV sector has become more market-driven instead of fully relying on government subsidies, Xu noted. Despite lower incentives, electric vehicles (EVs) have consistently seen year-on-year growth in both production and consumption. BYD Auto Co's Chairman and President Wang Chuanfu said during the forum that the growth of EVs in China is driven by two prongs: policy support and market's driving force, currently accounting for approximately 50:50. 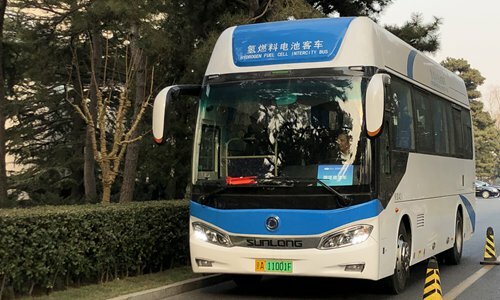 Citing BYD sales, Wang said that due to policy support, prior to 2017 about 70 percent of sales occurred in major cities like Beijing and Shanghai, as well as Guangzhou and Shenzhen in South China's Guangdong Province. "Yet in 2018, sales in cities where there are no purchasing curbs [on vehicles] or traffic controls have greatly increased, and they now make up 50 percent of total sales nationwide," he noted. In 2018, 1.26 million units of NEVs were sold, up 61.7 percent year-on-year, the first time the important one-million-unit milestone was surpassed, data from the CAAM showed on Monday. CAAM forecasts NEV sales of 1.6 million units in 2019. During the China EV100 Forum, experts and entrepreneurs frequently referred to two key deadlines. Chen Qingtai, president of China EV100, an EV association of over 200 leading Chinese electric mobility companies, told the forum on December 12 that the cost performance of electric cars will overtake that of internal-combustion vehicles by 2025, when prices are expected to equalize. By 2030, China's EV sales are expected to exceed 15 million units annually. Wang of BYD estimated that EVs will have taken over the market for private cars by 2030. "In terms of prices and mileage, EVs can definitely replace traditional gasoline-fueled cars by 2025," he added. Aware that time is relatively short to leap ahead in the NEV industry, local governments and enterprises are beefing up efforts to gain the upper hand in the market. China has been an early adopter of the new model, and foreign players are already poised to make major moves, posing a big challenge to domestic firms, Chen said. US-based electric vehicle producer Tesla began construction on a $2 billion Shanghai factory on January 7 to produce its Model 3 vehicles. Global automakers, led by Germany's Volkswagen, are planning a remarkable investment increase of $300 billion for EV development and procurement over the next five to 10 years, with nearly half of that money targeted at China, Reuters reported. Chen suggested domestic auto firms keep persistent with their strategies, improve their core competitiveness and try to provide Chinese consumers with the best EVs.